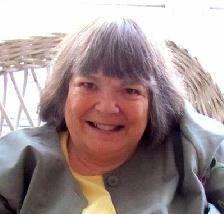 Laura Lee Potter Herndon, 72, passed away on October 18, 2013 at Westminster Oaks in Tallahassee, Florida. She was born on March 11, 1941 in St. Augustine, FL to David Wilfred and Alberta Solana Potter. Laura Lee grew up in Tallahassee where she attended Leon High School graduating in 1959 and then went on to earn her BS in Chemistry from Florida State University in 1964. After graduating from college, Laura Lee moved to Berkeley, California where she worked in a biochemistry lab. During her time in California, she met Roy Clifford Herndon whom she married in 1967 in West Palm Beach, Florida. They were married for 46 years, most of which were spent in Tallahassee. For many years, Laura Lee worked as a substitute teacher at Maclay School and later worked as an Academic Advisor in the College of Education at Florida State University. Laura Lee had many interests, but had an exceptional talent for taking photographs, especially of children and families, and her pictures are displayed in households around the world. Her other activities included reading, listening to music, writing letters, bird watching, traveling, making unusual collections and spending time with her family and grandchildren. Laura Lee is survived by husband Roy, her children Laura Alice Herndon (Tom Strasser) of Warren, NJ and Donald Herndon of Tampa; grandchildren Alex and Ben Strasser; sister Mary Ann (George) Hensarling of Tallahassee and nephews David, Matt and Ben Hensarling. A visitation will be held at Culley's MeadowWood Funeral Home, 700 Timberlane Road from 6-8pm, Friday, October 25th. Graveside services will be held at Roselawn Cemetery at 11am on Saturday, October 26th with a memorial luncheon immediately following at Culley's MeadowWood Funeral Home, 700 Timberlane Road. In lieu of flowers, the family requests memorial donations be made to St. Francis Wildlife Association.